Growing up, Simmo was a fit, healthy young man with a zest for life. By the end of high school, he was training every day. But the death of his mother three years ago turned his life upside down and Simmo gained 40 kilograms. Simmo is ready to treat himself well again and get back to the happy, healthy man he once was; he would also like to begin dating and find a kind girl with an adventurous spirit. 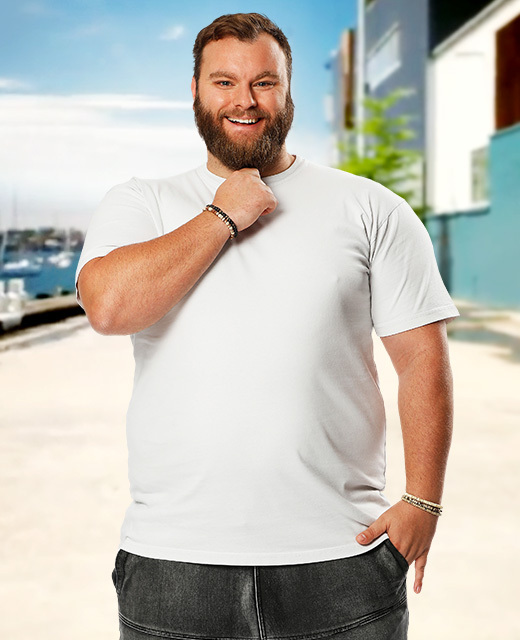 The Biggest Loser Recap is not affiliated with, sponsored or endorsed by Channel 10, Fremantle or any associated entity. Some text may be used from other sources for the purposes of criticism, review or informational purposes. This blog is written by Mythor, who has nothing but love for the show and the people involved in creating it. Copyright © 2015 The Biggest Loser Recap. All Rights Reserved.